When it’s raining outside and I can’t mow my real lawn, what do I do? I play lawn mowing video games of course! Here’s been some of my favourites over the year. Sure, the graphics are from the 80’s, but they have the game design just right. It’s highly addictive. 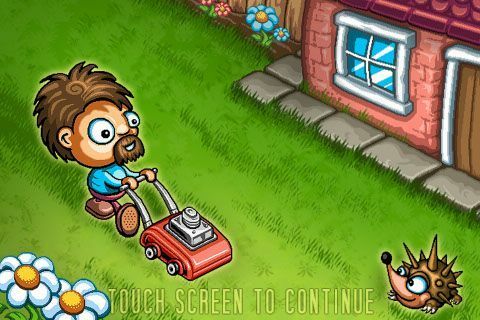 In this game, you need to avoid the dogs and obstacles while mowing the entire lawn. The levels increase in difficulty. It sounds simple. It is. Simple and fun. This is the first ever Virtual Reality lawn mowing game. Wait, no. It’s not really lawn mowing, but it’s about watering and nurturing your lawn while saving the world from enemies and a giant asteroid. Currently, it’s only available on the high-end virtual reality headset, the HTC vive. This was actually featured on the apple app store recently so decided to check it out. The graphics are pretty good and the gameplay is simple and addictive. It probably the most polished lawn mowing game I’ve played. The idea is similar to the Commodore 64 game, Hover Bovver. You need to mow the lawn maze while avoiding hedgehogs. Kind of like pac man, but for lawn mowing. Have we missed any? If so, please let us know in the comments below. Did you ever thought about people that hate cutting grass? Great selection of games for a nightmare!